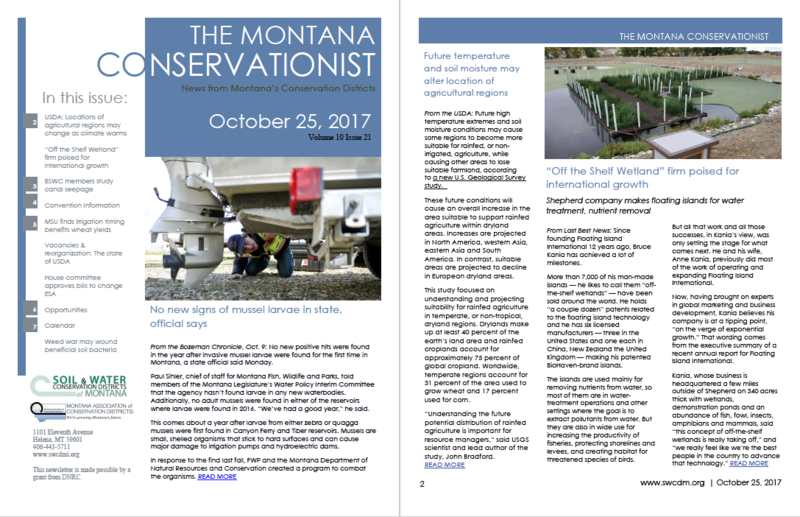 SWCDM has added a new feature to our Montana Conservation Menu. 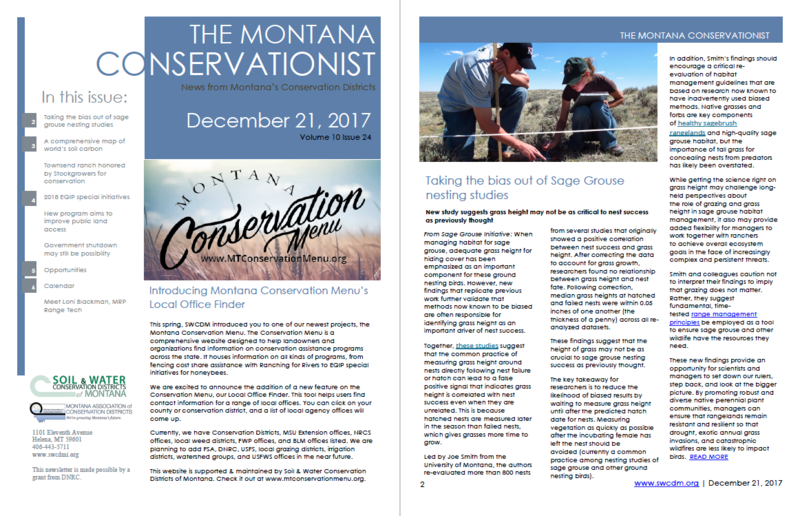 Not only can you search for conservation assistance on the site, but now you can also find local offices to help you! It’s our Local Office Finder, and we think it’s pretty awesome. Sage Grouse Initiative has an interesting article suggesting that the link between grass height and nest success may not be so close after all. It seems that the timing of previous studies was creating a grass height bias. So, check your bias, as they say. 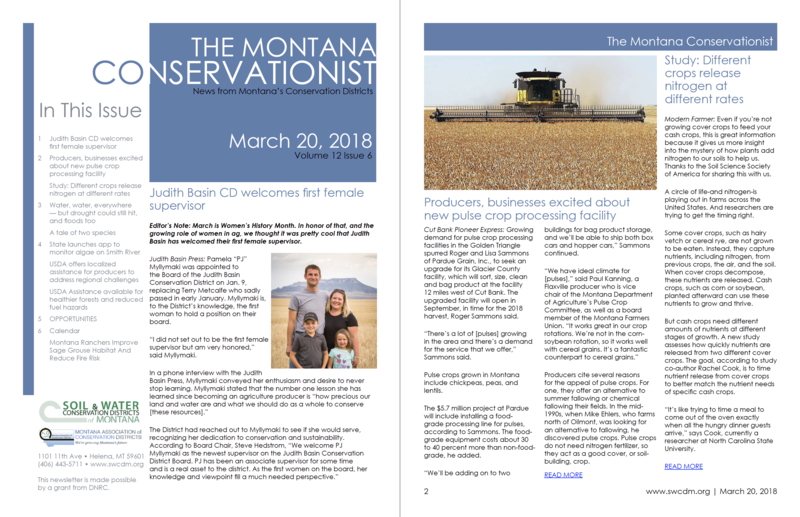 The Hahn family of Townsend was recently honored by the Montana Stockgrowers Association for their dedication to conservation, and their work with the Broadwater CD among others. USDA has announced EQIP special initiatives for 2018. The deadline for special initiative funding is January 19. Although the possibility is distant, there’s a chance the federal government could shut down Saturday. (is it just me or does this happen every other week?).  As always, its something to keep an eye on for districts that operate in NRCS offices. Finally, we’d like to introduce Loni Blackman, the new range tech for the Montana Rangelands Partnership. Welcome, Loni!